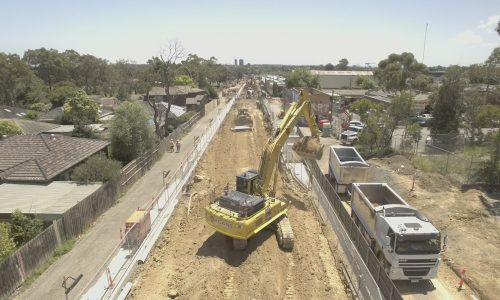 Fleet Plant Hire was extremely proud to be involved in the Furlong and Main Roads St Albans and the Blackburn /Heatherdale Road crossing removal projects undertaken by CPB Constructions. 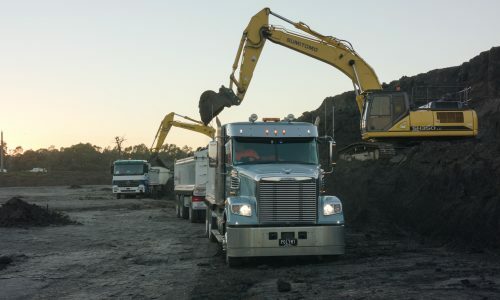 Plant Hire and cartage solutions were major components of the works. FPH removed approx 180,000m3 of spoil including numerous occupations running around the clock on the St Albans Project. The East was enormous, removing approx 220,000m3 of material, the majority within a 12 day period in January 2017. We were proud to deliver our works on time and on budget. One of the largest Urban projects to be undertaken in the Sth East Melbourne Region. BMD Urban, Australia’s most expansive Urban construction company, engaged with FPH to provide both Plant Hire and trucking solutions. Now into its 5th year, the work continues on, providing Melbournians with quality Urban developments. During the construction, FPH undertook a challenging wetland development. With roughly 60,000m3 of spoil removed and a further 30,000m3 placed onsite, the project was a great achievement in bulk earthworks for all involved to produce an open space for all local residents to enjoy. The development of the Ravenhall prison was a major project award for one of Fleet Plant Hires most valued clients. 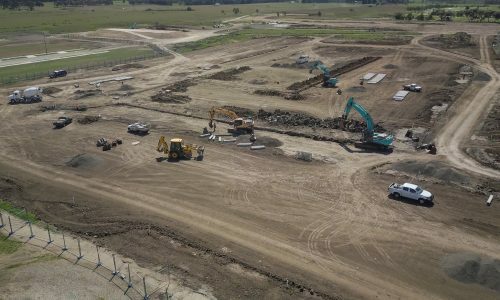 Civilex Victoria were selected to complete all the civil works at Ravenhall, and Fleet Plant hire was entrusted with the truck hire and delivery of approximately 200,000 ton of suitable material to site. An innovative solution was struck with a nearby quarry ensuring the project works could be delivered on time, a critical component of Civilex’s contract requirements. Civilex continued on site for many months to come, being a major part in the award winning project. 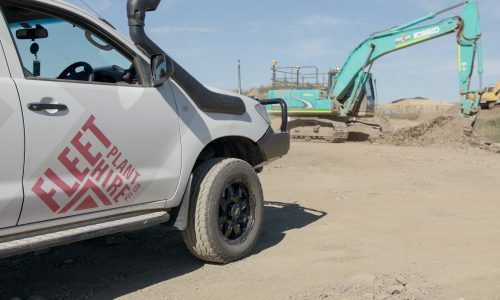 Each year, based out of the Eastern Treatment Plant in Bangholme, the contractor, Progress Earth, engages Fleet Plant Hire in order to ensure efficient and effective removal of approximately 300,000 ton of Bio Solid materials. The project is challenging for all those involved, with strict compliance required. Fleet Plant Hire’s ability to maintain Suppliers yearly makes the task a little easier for the Client as the systems do not need to be reiterated each season. 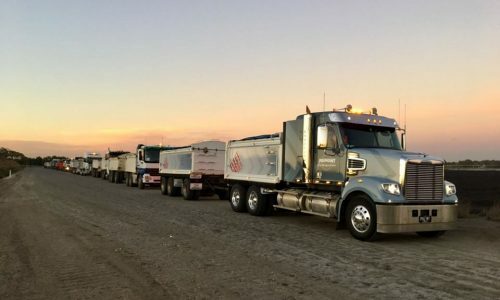 2018 marked the 1,000,000T carted by FPH! Located in Sth West Victoria, BMD Constructions were awarded the Princes Hwy duplication between Warncoort and Winchelsea. Fleet Plant Hire sourced the required plant and truck configurations for the delivery of quarry products and onsite haulage of excess spoil. FPH delivered a successful outcome, whilst dealing with weather and varying daily requirements, a key part of our success was through our well-established relationships with the project team, and our desire to ensure that local Suppliers were prioritised, providing key relationships between local stakeholders and the principal contractor.